You just need to have a walk around Casa Turire gardens to start feeling closer to nature. Tropical birds are everywhere: tucans, oropendulas and parakeets. The pool provides the ideal refreshing while enjoying wonderful views. At CASA TURIRE, located in Turrialba Valley and surrounded by the wild Reventazón River, the accent is on comfort and relaxation in a tropical paradise setting. As a guest, you will be pampered by highly trained professional staff dedicated to offering you friendly Costa Rican hospitality, making your stay a pleasurable and memorable experience. Situated only 72 kms. From San José and just 15 minutes drive from the town of Turrialba, CASA TURIRE offers its guests 12 luxurious rooms and 4 suites, each has private bath with tub, balcony, phone and satellite cable T.V. 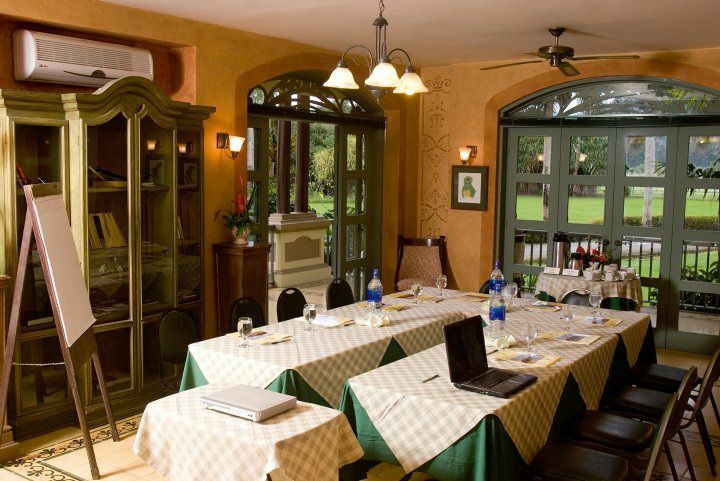 The hotel is situated on a 4000 acre family owned plantation which grows coffee, sugar cane, and macadamia nuts. There are processing mills for each product on the plantation. 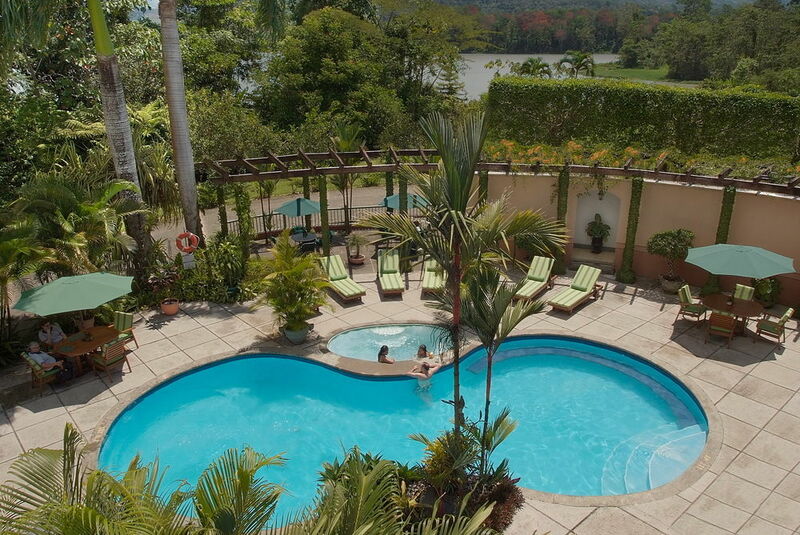 Surrounding the hotel site are stunning vistas of the nearby coffee, sugar cane and macadamia plantations, scenic green mountains, towering volcanoes and the rushing Reventazón River. CASA TURIRE‘s landscaped gardens abound with a multitude of tropical plants, flowers and trees full of exotic birds, keeping you directly in contact with nature amidst comfortable, hotel accommodations. CASA TURIRE encourages guests to enjoy unique varied activities and tours. Guided day adventures of white water rafting and kayaking on the exciting Reventazón River as well as horseback riding and mountain hiking through virgin tropical mountain trails are available for active sports-adventurers. The have their own putting green and driving range right next to the hotel. For the sightseers, an archeological tour to the Pre-Columbian Guayabo ruins, tropical forest or volcano tours, and unique guided tours to the nearby sugar mill, macadamia farm and coffee plantation, will offer interesting and informative aspects to your enjoyable stay at CASA TURIRE. For vacationing business people or special groups, there is a conference-seminar center, equipped with the most advanced audiovisual systems and worldwide direct telephone dialing and fax machine to keep you ahead in your business world. Private air charters to and from the nearby airstrip, ground transportation and rent-a-car can be arranged to suit your individual, family or group needs and accommodations. Transfers from San Jose’s Juan Santamaría International Airport to Casa Turire are $45 each way for a minivan with a capacity of up to 9 passengers.